I’m reading the book Endurance right now. I do have a fascination with endurance sports – marathons, ultra-running, Iron Man… But this book is actually about the incredible adventure and trial of an explorer named Sir Ernest Shackleton and his crew as they crossed Antarctica. They were stranded on the unforgiving ice and winds for 20 months in 1915, then somehow drummed up the will to row a 22-foot boat over 800 miles across wild and storm-struck seas. He had tried this incredible journey twice before and the book I’m reading now is about his third attempt. His ship was called the Endurance. And rightly so. I haven’t finished this book, so I don’t claim to know if they live or die. What I do know and what I am humbled by is the love and respect Shackleton earned from his crew. From what I can make of it so far, this was due to several admirable virtues of the man. He always put his crew before himself. He had an incredible amount of emotional intelligence, a really good sense, energetically, of where his crew was at, who to put together in the tents when they were on the ice, and things like that. But the one virtue that seemed to stand out for me most was his optimism. He would never allow his crew to see him down, and the one ‘character flaw,’ as he put it, that he could not tolerate from a crewman was pessimism. Shackleton felt that it was a weak mind that couldn’t figure out how they were going to view what their future was going to hold and how they were going to meet each situation. “Difficulties are just things to over-come,” He would say. In reality, you have this guy, Shackleton, and every time he came encountered a circumstance that was dire, he chose a line of thinking and feeling and speaking about that circumstance that would best support what he wanted out of the situation. 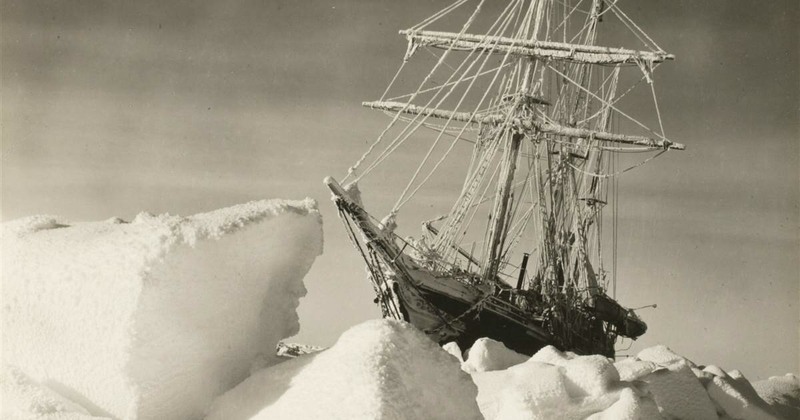 Shackleton realized the situation, even though it was external (his ship getting trapped in the ice! ), did not exist outside of him, but instead existed in the way he thought about it. I couldn’t help but think about the endurance races I’ve done. How I’ve had people ask me “What do you think about when you are on mile two or three of a race and you know you have another 55 or 60 miles to go?” “Don’t you just get down on yourself knowing you have so far to still go?” My method is similar to Shackleton’s approach: optimism. I never look at a race in the entirety of the 62 miles. I look at each mile in and of itself. I look at whether I am catching a pace (how fast I am going) that is better (faster) than the pace I want it to be for each mile. For example, if I want to be running a 14-minute per mile pace for my race and I run a mile at 12 minutes and 30 seconds, I realize I am a minute and a half ‘to the good,’ meaning ahead of my pace. This inspires me. I feel accomplished for that mile. I then move into the next mile with the reward system in place, meaning I just try to get under my goal pace for that mile. So, by the time I get to mile 30 or 35 and I realize I have all this time ‘banked’ (every minute I was faster than my goal pace has now added up to being an hour or more!) for whatever my goal time is for the race. I start to relax and feel more confident and capable. I know that with this banked time I don’t have to worry as much about if things don’t go right later on in the race. I have a reserve of all these minutes toward helping reach my goal. So, how I choose to look at the early miles of a race helps me feel like I have enough room to meet whatever might come up in the later miles. I am not left feeling anxious and burning energy on my emotions. I cover my races looking at things with optimism, finding ways to elicit positive, helpful emotions, one mile at a time, literally using my 5 senses to visualize the result I want to have happen. By doing so I conserve energy and it also gives me the greatest chance for the best possible outcome. Now I’m not going to pretend that I know what some great man like Shackleton is doing in his situation, and, as I said, I haven’t finished the book yet. But I can tell you this – when the boat gets stuck, when the men are on the ice, when he is deciding a timeline for covering over 800 miles, every single choice he makes he chooses to look at it in the positive light. In the light that would best serve him. He’s not using his energy to hold his negative emotions back. He’s using his energy to transform a difficult external situation into something that is optimistic, hopeful and manageable inside of himself. So, what about when things don’t go well. For Shackleton, it really comes down to life or death. But for my races it can be that my blood sugar gets depleted, I run out of energy and turn in on myself mentally and physically. The miles not only look longer, they ARE longer (in my mind), and I may start to get desperate for the challenge to be over, and fearful of how far I have left to go, or even if I can finish at all. These emotions are normal and natural, and they will come up. It isn’t that you are trying to stop yourself from having difficult emotions. They will come. It’s about how you meet your difficult emotions and thoughts. How you use your energy to best serve yourself so that your difficult situation becomes more manageable and you get the most of what you need out of it. Have you faced a situation that has challenged you? Maybe it is one that you have chosen, like me – a race, a physical feat of some sort, or a mental challenge like learning a new skill. Or, maybe it is one that has imposed itself upon you like an accidental injury, unexpected job loss, or a severe weather event that caused some damage to your home or community. How did you endure your situation? Please share below how your frame of mind served you. Enter your email address to subscribe to Lou's blog and receive notifications of new posts by email.